The closest race for the finals in years – possibly the closest ever – sees us with an Elimination Final where Manly will take on East Coast. It will be a tough contest, from which only one team will survive to go through to the next stage of finals. For Manly, it’s a return to the finals after a two-year absence. 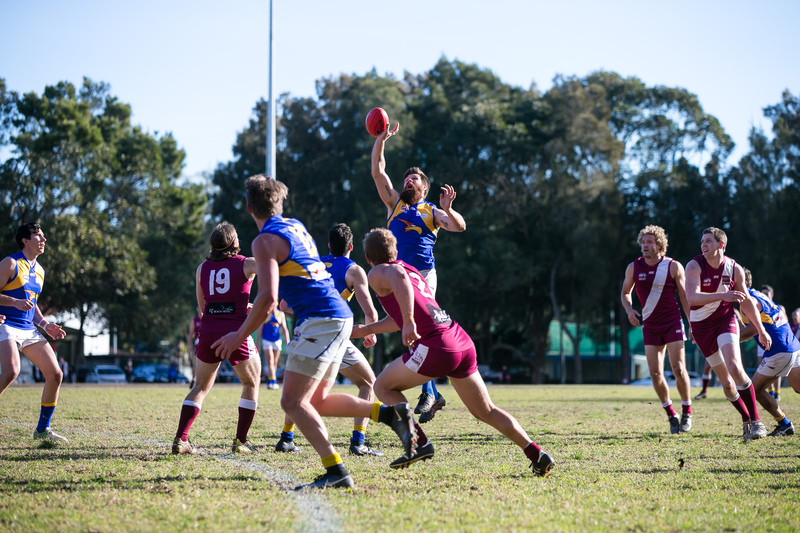 The Wolves have made Weldon Oval a fortress this year, and only dropped one game on their home turf. Three away wins, including the last two rounds, was enough to get them into the finals. There’s plenty of talent in the Manly lineup, and no shortage of avenues to goal. Anthony Robertson has been the standout contributor up forward this season, finishing with 40 goals. Hamish Ellem has also hit some impressive form in recent weeks and will be keen to maintain that momentum at the business end of the season. Manly also has class contributors around the ground. Connor Pettersson will likely feature prominently on Phelan Mostyn Medal night, as well as in this game. Eric Burke has hit career-best form in recent weeks, while Lachlan Kilpatrick is always a dangerous ball-winner. East Coast had struggled for consistency for much of 2018, but a five-game winning streak in the second-half of the season got them into finals calculations. In the last round, a heartbreaking one-point loss to Minor Premiers North Shore after leading all day kept them waiting to see whether they would make the finals – they just fell in by the skin of their teeth. The Eagles have built their success this season around defensive pressure. The ladder this year showed they had the third lowest points scored, but had conceded less points than any other team. Defenders such as Brandon Clark, Kieran Emery and Stuart Turner have been a nightmare for opposition forwards to score against, and they’ll be making life difficult for the Manly forwards. The Eagles do have forward firepower however. Keep an eye out for Jamie Vlatko and Mark Weekes, who feature prominently and kick a significant share of the Eagles’ goals every week. The two sides have played twice this season. At Weldon Oval in Round 6, Manly were 33 points too good for the Eagles but the Eagles reversed that result at Kanebridge, running away to win by 55 points after a bizarre first half in which neither team kicked a goal. Both teams have a much stronger record at home than away, but this is on neutral territory at Blacktown. There won’t be much in this one, and a tight, closely-contested, low-scoring battle looks likely. It could go either way, but the Wolves may hold the slightest edge around the ground. Prediction – Manly by 8 points.